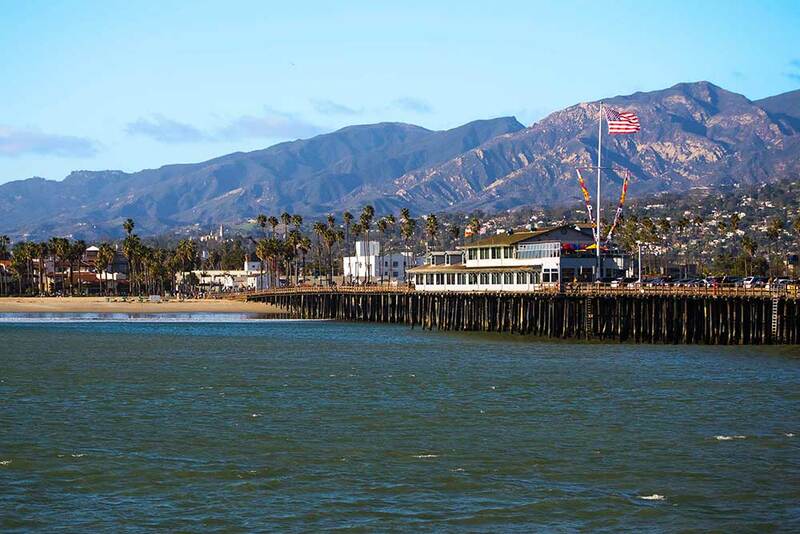 Situated on a south-facing section of coastline, the longest such section on the West Coast of the United States, Santa Barbara lies between the steeply rising Santa Ynez Mountains and the Pacific Ocean. 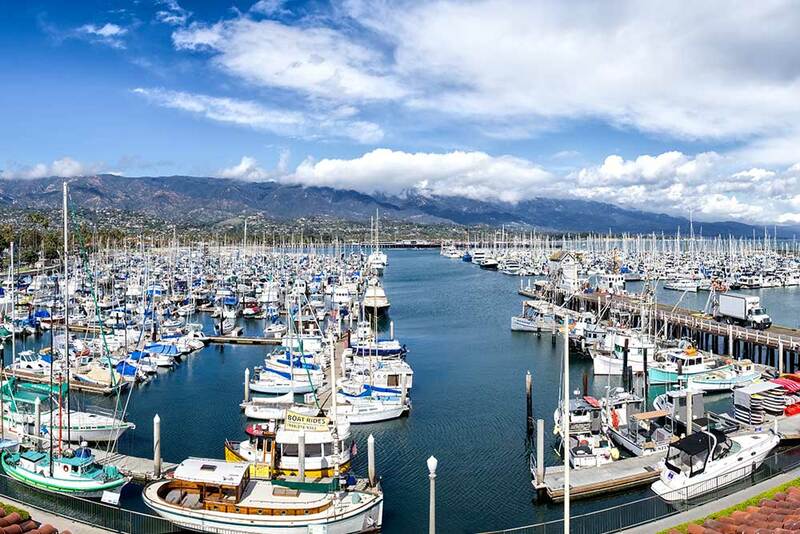 Our climate is often described as Mediterranean, and the city has earned the moniker “American Riviera” for its stunning seaside locale and architectural beauty. Because the city lies along the ocean, onshore breezes moderate temperatures resulting in warmer winters and cooler summers compared with places farther inland. In the winter, storms reach California, sometimes bringing heavy rainfall. 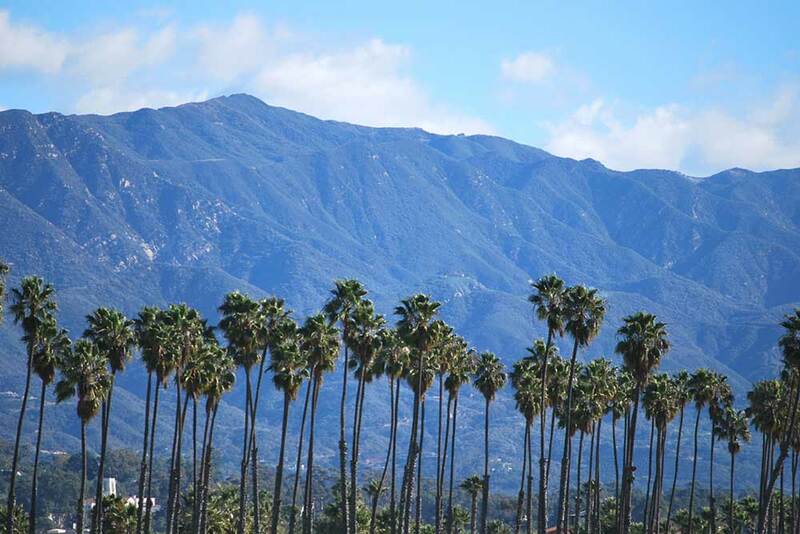 Our Santa Ynez mountains create an upslope flow causing higher rainfall here in Santa Barbara than in other coastal areas. In the fall, downslope winds, locally called “Sundowners”, can raise temperatures into the high 90s creating warm evenings that feel more like a midwest summer than autumn near the Pacific. 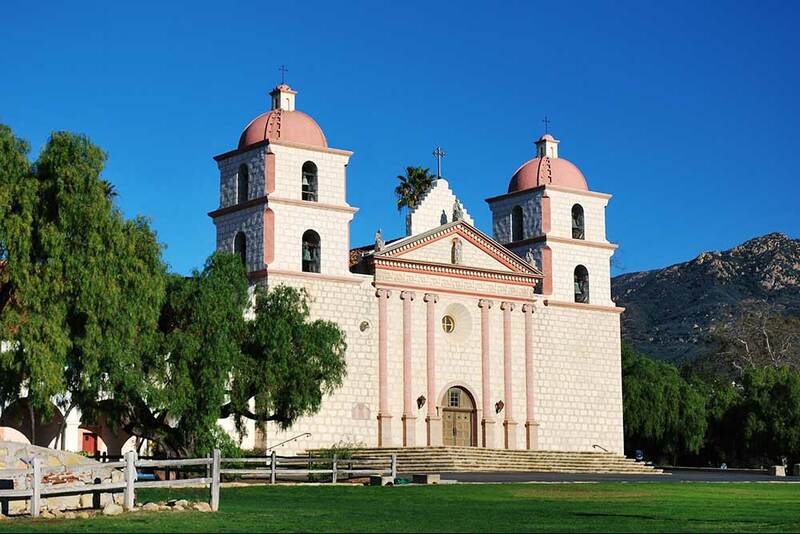 The dominant architectural themes of Santa Barbara are the Spanish Colonial Revival and the related Mission Revival style, encouraged through design guidelines adopted by city leaders after the 1925 earthquake destroyed much of the downtown commercial district. Residential styles in Santa Barbara reflect the era they were constructed; many late 1800s Victorian homes remain downtown and in the “Upper East” neighborhood. California bungalows are common, built in the early decades of the 20th century. Spanish Colonial Revival-style homes built after 1925 are common all over the city, especially in newer upscale residential areas like Montecito and Hope Ranch. Santa Barbara contains many performing art venues, including the 2,000 seat Arlington Theatre – the largest indoor performance venue in Santa Barbara that also serves as the home to the annual Santa Barbara International Film Festival. The Lobero Theatre is a local’s favorite, an quaint historic building that hosts small plays and concerts. 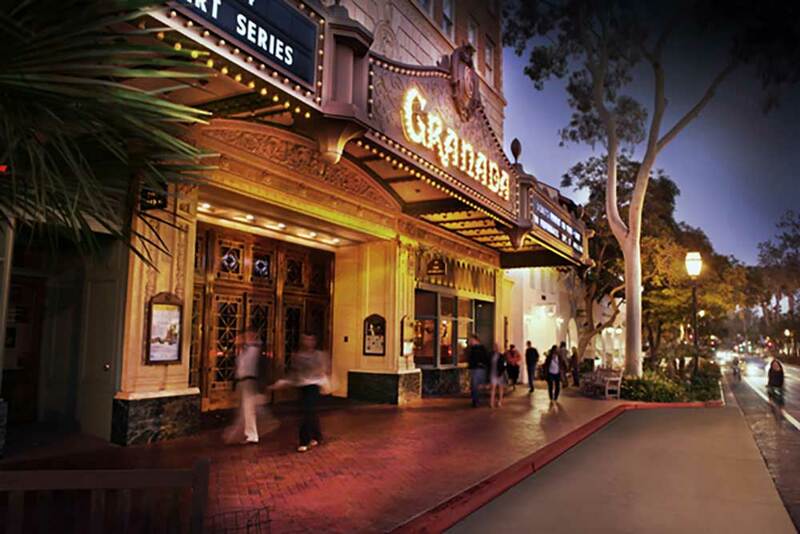 The gorgeous Granada Theater is downtown’s tallest building and reopened in 2008 after extensive renovations. And the 4,562 seat Santa Barbara Bowl is an outdoor amphitheater, nestled in a picturesque canyon northwest of downtown at the base of the Riviera. 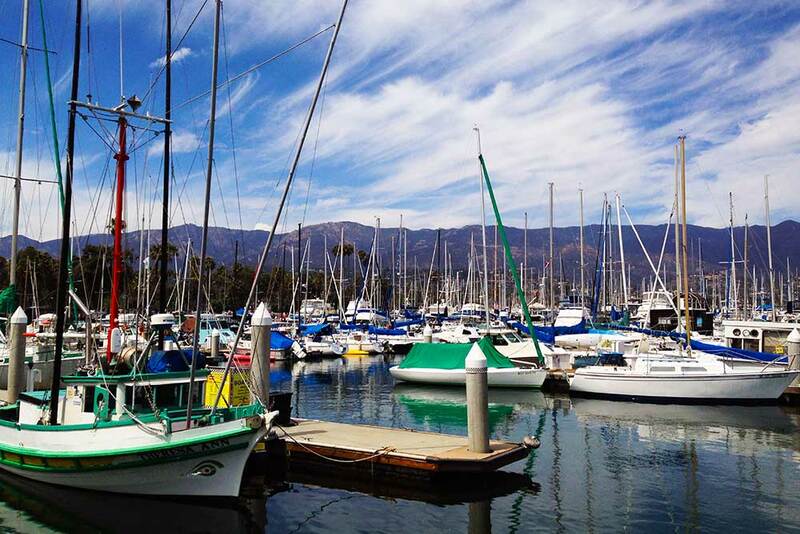 Santa Barbara is considered a haven for classical music lovers with a symphony orchestra, a part-time opera company, and many non-profit classical music groups (such as CAMA). The Music Academy of the West, located in Montecito, hosts an annual music festival in the summer, drawing renowned students and professionals. In addition to being a popular tourist and resort destination, the city economy includes a large service sector, education, technology, health care, finance, agriculture, manufacturing, and local government. In 2004, the service sector accounted for fully 35% of local employment. 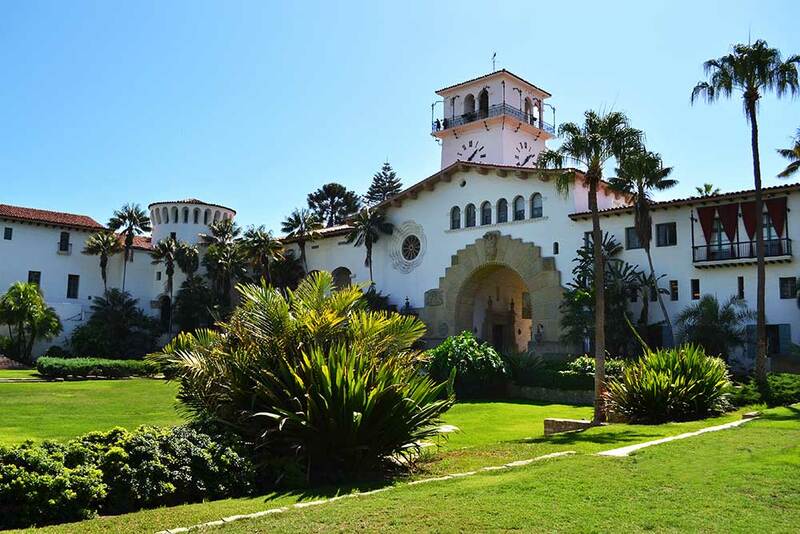 Education in particular is well represented, with five institutions of higher learning on the south coast: The University of California, Santa Barbara, Santa Barbara City College, Westmont College, Antioch University, and the Brooks Institute of Photography. Aerospace, technology and defense companies form the basis of the city’s private employment.